Unfortunately, there is no promotional scheme available on Bingo Funland to assist us in advertising the site. 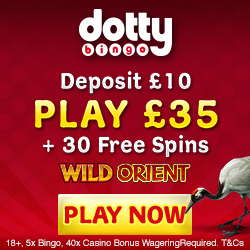 As such we have provided you with an alternative called BoyleSports Bingo, which is an impressive gaming site offering a great choice for any type of player. Mobile Bingo Bonuses bring you the best of bingo with a funky site called Bingo Funland. Their little gnomes help introduce amazing promotions and a huge choice of games such as bingo, progressive jackpots and slots. 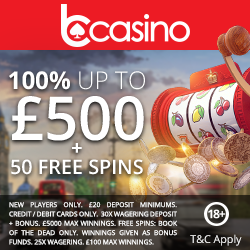 Registering is easy and when you make your 1st deposit you’ll receive a 200% cash match bonus, which basically means that for each £10 you deposit you’ll receive an additional £20 bonus credit. On top of this generous cash match bonus Bingo Funland will also give you exclusive access for the first 14 days to their Fundies £50 Jackpot Game. This can be played on a Tuesday and Thursday at 9pm with tickets a mere 10p, for a whopping £50 prize pot! Sure Win – With £2,500 up for grabs every month everyone is a winner. If you play Sure Win on the 15th of every month at 20:00 you are guaranteed to win something from Bingo Funland. Zodiac Bingo – Is £1,111 in your future? With Zodiac bingo there’s a chance to win a share of this every month, and as a special gift Bingo Funland will give you 10 extra tickets for your birthday. £ 1,000,000 Jackpot – To be in with a chance of winning a £ 1,000,000 Jackpot, join Bingo Funland three times a week on Wednesday and Friday at 10pm and Saturday at 9.30pm. No Lose Bingo – Join Funland Bingo every Monday and Wednesday at 9pm for No Lose Bingo, where for all tickets you buy and lose, the value will be refunded within 7 days. We’re sure you’re eager to tell your gaming friends about this great site so why not earn a little bonus for it. For each friend you refer you’ll earn £10 bonus credit to use on any of their games, so the more friends you have the merrier you’ll be! Bingo Funland like to thank their loyal players through their loyalty scheme, called Bingo Friends Forever. You join at the point of registration and earning points is pretty simple, you just keep on playing, so the more you deposit the more points you will earn. As you earn points you’ll work through the 5 tiers which include Blue, Bronze, Silver, Gold and Platinum, with each level having bigger and better rewards including re-deposit bonuses and special promotions. So if you’re ready to claim your 200% cash match bonus, then simply head to Bingo Funland and we’ll take you through to join the fun!